Your roof is an important component that protects your home from the elements. That makes it such a significant investment, as well. The key step to getting the best roofing is to hire the best roofing company to do the work. Tedrick’s Roofing lists what you should look for. 1. Make sure they’re insured. It always pays if your roofing contractor in Auburn is insured because that coverage and protection extends to you and your home. 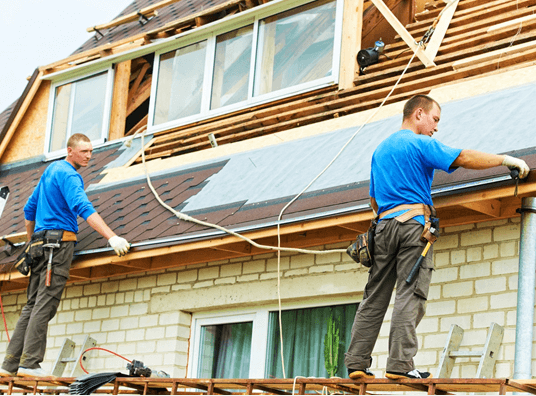 Worker’s compensation and liability insurance are important in this regard, as these will ensure that the company will take care of any problems when they work on your home. It helps to conduct a check with the insurance center for legitimacy of claims. Who better to know what the best roofing system in your area is than those who have worked and lived in the same area? Apart from their innate local knowledge, they can easily provide their past works and their reputation. This kind of first-hand information goes a long way towards providing a clear set of expectations. 3. Don’t compromise on quality. We all want to save up on anything we have to spend for, but quality always comes at a price. Don’t be guided simply by the price point as this can be deceptive. A company that offers something at too good a price is cutting corners somewhere to be able to afford a lower price. Do your homework with brand pages and compare. Reliable companies will always give a fair price for your roofing in Kent, WA. They key factor here is to look for a company that can cater to your needs in an objective and clear manner. It helps that they are a local company, as this will assure you that you can check on the quality of their work easily. Give Tedrick’s Roofing a call today, and we’ll be more than happy to talk about the best solutions that we can give for your roofing needs.